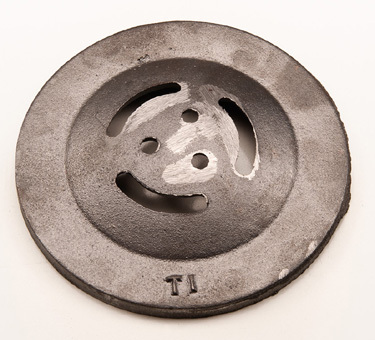 This tuyere plate is used to rebuild the bottom of many different types of forges. The tuyere is made of durable and long lasting gray iron, which is consistent with period forges. Approximately 5 3/4" diameter and 1/4" thick.